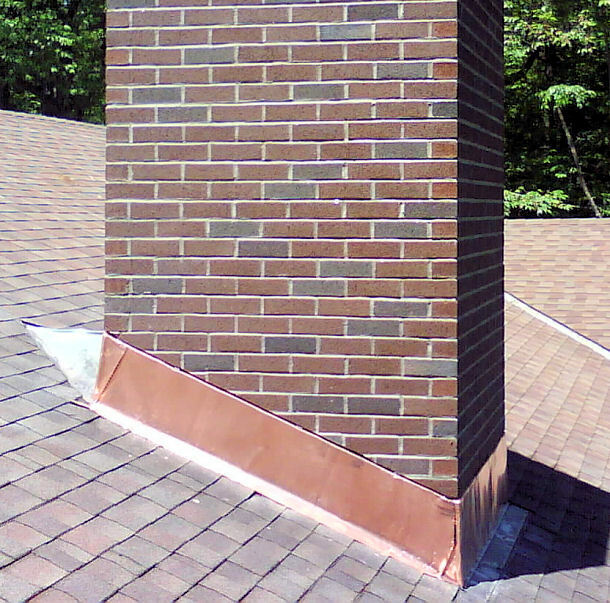 The chimney flashing is a vital part of the chimney that should be kept well maintained. It plays a vital role and protects your home from water damage by preventing rain and water from leaking in. At Chimney Repair NY we have been installing and repairing chimney flashings for over 20 years throughout Manhattan, Long Island, Queens, Brooklyn, Westchester, and Bronx, New York. With all chimney flashing repair and installation service, we use the best materials on the market to provide the highest level of protection from water and leaks. However, chimney flashing materials have shorter lifespan and durability than other parts of your chimney and roof (bricks, mortar, cement, wood). Therefore these materials naturally deteriorate quicker over time and it is recommended to have your chimney inspected periodically for any deterioration or defects. Request a Free Chimney Flashing Estimate today or call 1-877-952-7425 to schedule an appointment.